We find ourselves in the wonderful municipality of Meursault, at the end of the Côte de Beaune, birthplace of the Chardonnay inside the Côte d'Or; and it is here that we find the Domaine managed masterfully by Pierre Morey, who in 1991 passed on to a completely organic vineyard, making the definitive transition to biodynamic agriculture in 1997. Part of the vines are destined to the vinification of an ancient white grape vine, the Aligotè, son of a spontaneous cross between Pinot and Gouais Blanc. After a soft pressing and a spontaneous fermentation with indigenous yeasts, inside vitrified cement vats, the wine matures for 80% in cement tanks and for 20% in French oak barrels for a period of 12 months, before being bottled. 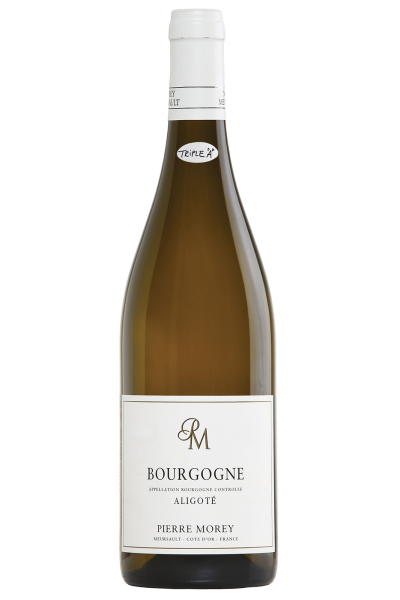 The result is a white with a pleasantly fresh, fruity and mineral profile, representing at best the panorama of the great white wines of Burgundy. Intense and lively straw yellow in colour, with bright reflections, it gives the nose aromas of fresh fruit and delicate shades of white flowers, followed by intriguing sensations of citrus peel and marked mineral tones. The attack on the palate is vibrant, of lively freshness, opening with fruity flavours and soft hints of honey, towards a savoury and persistent finish. It combines well with dishes based on fish and shellfish.Try it with Burgundy snails, for a combination of expressive territoriality.